“What Happens In The Cave” opens in a cave, naturally. Floki strikes sparks, lights a guttering torch, and descends into what he, in his single-minded resolve after the self-destruction of his dream of a pure Norse colony, is convinced is the actual, physical portal to the realm of the gods. Clambering resolutely through tumbles of slaty stone, waxy formations of volcanic rock, and the increasing rumble and spray of the unstable mountain, he leaves no trail, no markers to lead him out again should his single torch die. This is a one way trip, and, for the most faithful and fanatical of the Vikings, its end will literally explode the earth. Faith is front-and-center throughout, as characters torn between two worlds for different reasons reach out in moments of crisis and claim their gods. Magnus, clinging in sodden panic to Bjorn’s ship as Harald’s fleet founders in a terrible storm, cries out for Jesus. Hvitserk, confronted with a huffing and seemingly indecisive King Olaf, strokes his statuette of the Buddha and talks of fate. Ubbe, locked in a vicious one-on-one fight to the death against the brutish King Frodo (Gavan Ó Connor Duffy) for his father’s legacy (and his own life), prays in the last extremity to Odin. Lagertha, still and pale as a ghost, visits the chapel where Heahmund lies entombed, washes her face at the altar, and then asks her victorious son Ubbe if she can join him and Torvi in the now Viking territory of East Anglia. And, as for Floki, his own desperate, lurching quest for the pure and ultimate truth of his faith in the gods delivers him into the presence, finally, of what looks to the most steadfast Norseman of all, like the ultimate cosmic sick joke. Finding that their bedraggled forces have landed near where Hvitserk and Olaf’s camp is set up, Bjorn comes to his little brother’s tent with a glower—and then embraces Hvitserk upon hearing of their shared plan to defeat Ivar. Here again, Vikings delivers some much-needed warmth to the incessantly dour season, with Bjorn’s fakeout smile erupting unbidden as he roars, “This is one of the happiest days of my life.” Hvitserk, his newfound (half-understood) faith lending him an air of gravitas he’s never had before, tells big brother Bjorn that he finally knows his purpose. Fate led him through his disloyalty to Ubbe and the humiliations of being slighted by Ivar, only because it’s his fate to kill his tyrannical youngest brother. There’s a smug surety to this Hvitserk, his lifelong muddleheaded also-ran status coalescing around that mysterious little figurine in his pocket. 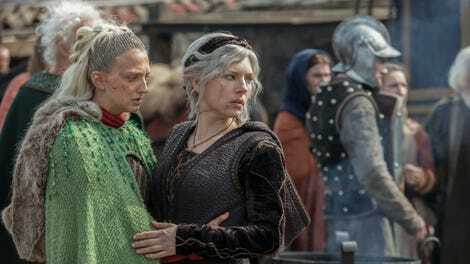 What happens to Hvitserk’s resolve once he learns about Thora’s horrific death at Ivar’s orders remains to be seen in next week’s season finale. Then there’s Floki. The most zealous, the most purely hostile to outside influences, the aging boatbuilder/madman/prophet yet has pursued his own occasionally bloody course not for power, but for the glory of what he knows in his soul the gods have in store for him. So when, the volcanic mountain quaking around him in deepening booms and cascades of choking dust, he reaches an impossible ray of sunlight through a crack in the cave wall, he spies the end of his quest, it destroys him. An ancient, long-abandoned Christian cross stands, scarred and implacable, in the streaming sunlight. A dented chalice is on the ground at his feet. Floki gasps, then laughs a mad giggle, then weeps, then roars in a towering outrage so mighty that the concurrent eruption of the rumbling volcano above him earns its metaphorical majesty as the manifestation of Floki’s ruptured soul. Whatever happens next will happen with the staunchest defender of the gods shattered and buried under a broken mountain. For the second episode in a row nearing season’s end, Vikings appears to relearn that less is more, when it comes to speeches. Ubbe’s decision to leave his adopted faith and king is handled merely with Ubbe’s line to Alfred, “You have proven yourself to be a good and wise king” as he leaves for East Anglia. Judith’s death, too, isn’t lingered over. Her breast cancer having attacked her with deadly speed, the sallow Judith expires with just a single, long exhale as Alfred weeps and closes her eyes. 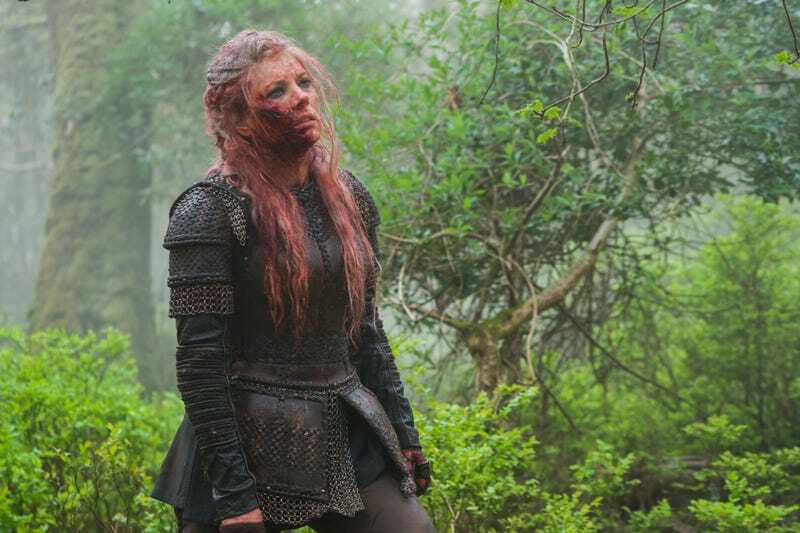 Lagertha bids her goodbye succinctly, too, telling the son of a queen, “She succeeded in her life’s mission,” and telling Alfred, “You have a duty now to repay her love by becoming a great king.” Lagertha’s thoughts of her own sons and their struggles to live up to her hopes exist only in Katheryn Winnick’s eyes. Poor Baldur, it seems, was eaten by foxes.